The 2018 Tournament of Roses parade was held the morning of January 1st, 2018. The Odd Fellows and Rebekahs entry "Sacrifice to Serve" honored all recipients of the purple heart medal. 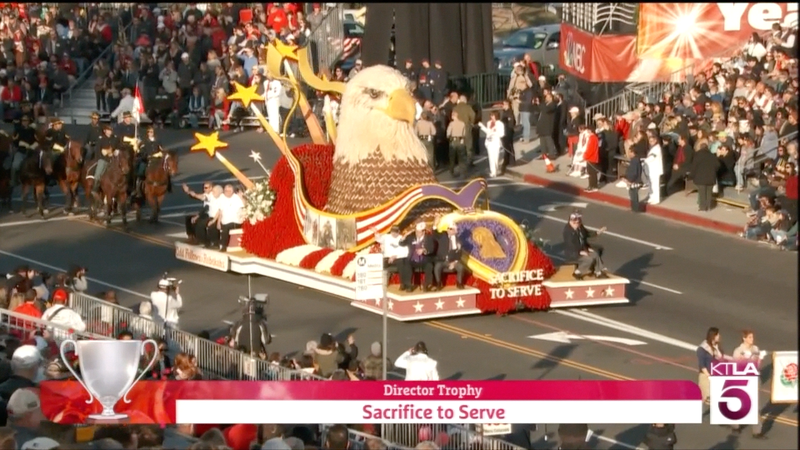 Our float was positioned amongst the leaders of the parade, immediately following the Marine Corps combined marching band and the naming sponsor (Honda). We received the Director's Trophy.